We’ve been watching a few more movies; thought I’d share them with you here. 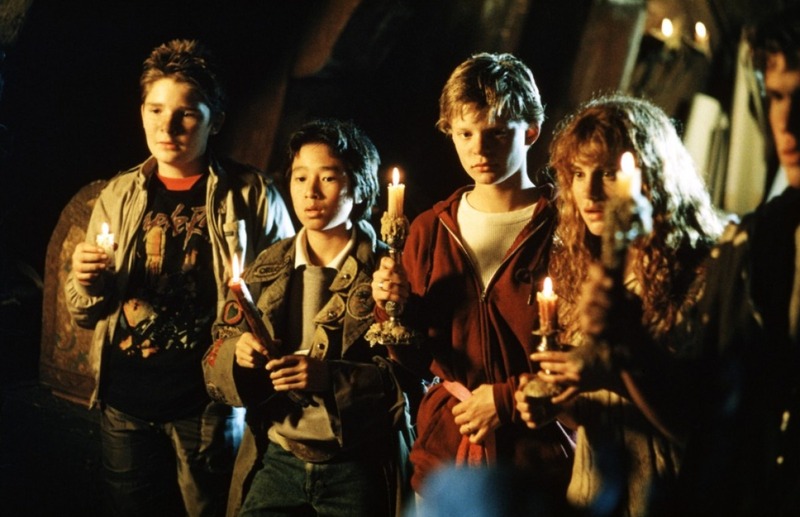 First off, I finally got around to seeing The Goonies (1985), a childhood classic that passed me by. (I may have been a few years too young; also not absolutely in touch with pop culture.) It’s a kids-to-early-teens movie, and when allowances are made for the target audience, it’s really pretty fun. It reminded me of The NeverEnding Story (a childhood favorite of mine), for its imaginary-coming-true element. The premise is that everyone who lives in the “goondocks” are about to have to move; their homes are being bought out from under them (mortgage issues contributing to the problem) to build a golf resort. The kids are naturally bummed; and finding a treasure map in Mikey’s attic offers a natural solution. Mikey and his three buddies, chaperoned by his older brother Brand and eventually joined by two girls Brand’s age (for the romantic element), set out looking for lost treasure. To get there, they’ll have to wrangle with the Fratellis, a slapstick mother-and-two-sons crime team. (There’s a delightfully peverse lesson in family values there I think.) I love that the kids got a chance to save the day! And I love Data. How cute. I like his opening sequence when he enters through the screen door. 🙂 Anybody else remember this one fondly? 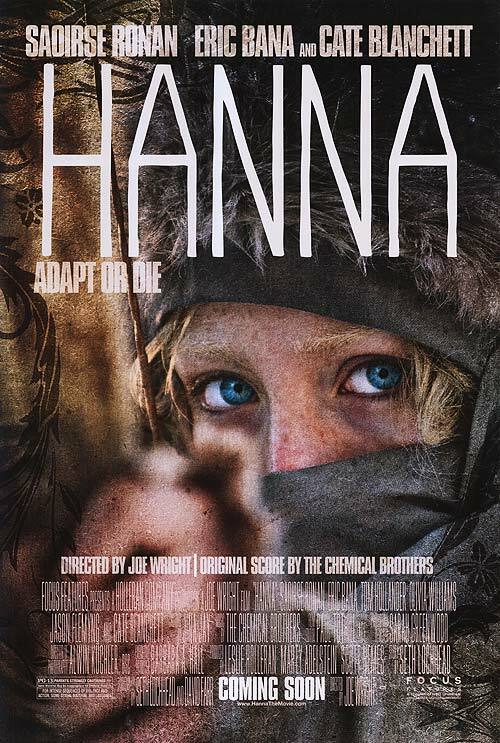 Next, Hanna (2011) recommended to me from Jimmy. Hanna is a teenager living in the back of beyond somewhere (did we ever learn where? it’s arctic). She barely remembers her mother, and has been raised by her father without other human contact; he teaches her to fight, to hunt, to survive; everything else she might need to know comes from an ancient encyclopedia. He’s also given her a false identity; she has her home address, school, and the names of her dog and two best friends memorized. Early in the movie they begin considering whether she is “ready”; Dad digs up the black box, they flip the switch, and get ready for all hell to break loose. I won’t tell you any more. I really enjoyed this movie, but I regretted a few things. For one, I thought the early part of the movie – when it’s just Hanna and her father in the bright white arctic wilderness – was the strongest, and regret that we didn’t spend more time there. And the premises of the world out there that Hanna eventually enters weren’t as fully developed as I’d have liked. If this had been a book and not a movie we might have fleshed out the concepts a little better. Call this a flaw of the format, maybe. At any rate it was definitely worthwhile. And then one of the westerns loaned me by Catherine & Bill during my post-surgery laid-up time: The Outlaw Josey Wales (1976). I wasn’t sure this would work for me, as westerns seem to be one of the genres that fail to penetrate my thick skull (cf. The Good, The Bad and the Ugly). 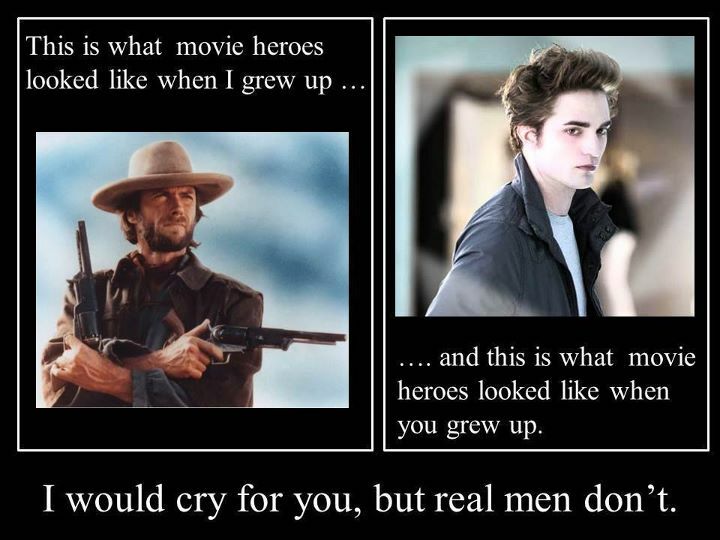 But with the volume turned way up (Clint Eastwood had marbles in his mouth, no? ), Husband helping me keep up, and a few rewinds, I followed this one fine, and found it quite entertaining. Maybe I’ll have to give a few more Eastwood classics a try. With subtitles? I felt the same way about Hanna. Good beginning, some good parts after that, but it didn’t seem to go anywhere. And Cate Blanchett’s accent seemed to be all over the place (which is the sort of thing I never notice if I’m really involved in a movie).